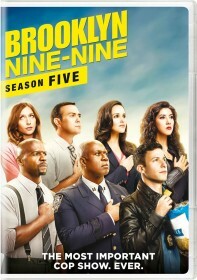 You are viewing a list of Tara Karsian's 1 appearance on Brooklyn Nine-Nine. Pimento and Rosa decide to pick up where they left off and get married, so the whole squad preps a perfect wedding under Amy's careful direction. Pimento enlists Jake and Gina to hunt for his grandmother's ruby earrings for Rosa to wear in the ceremony, but the universe has other plans for them.